I had to come all the way from Binangonan Rizal and give up Sunday family time for this. "It better be good" I said to myself and it was. 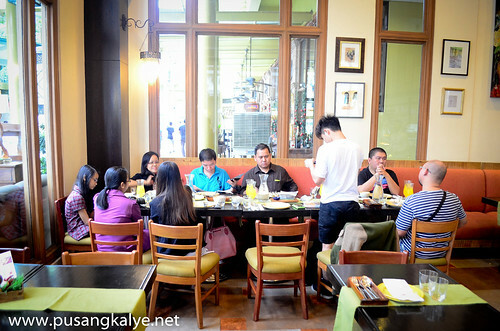 I was invited by Sentro 1771 together with other blogger friends to try Sentro's new dishes. These were actually launched a few months ago but the last time I tried Sentro was January of this year in their Greenbelt branch. 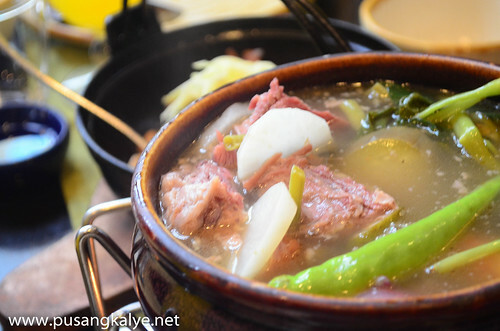 There, we tried Sinigang na Corned Beef and Rated GG for the first time---Sentro's Signature dishes. 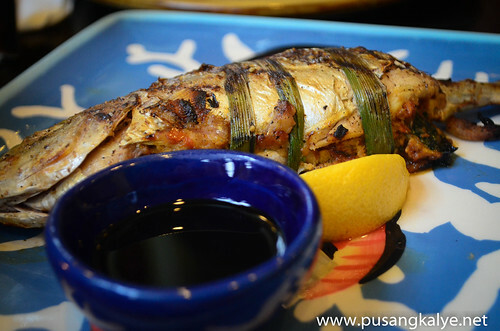 I was convinced that Filipino cuisine is undergoing some sort of renaissance indeed. Many exciting dishes have been added since then. 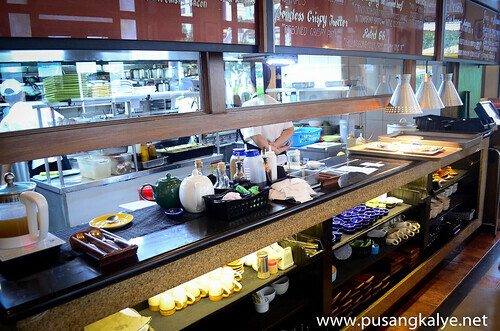 Still true to their flare of creating "modern Filipino dishes" that will excite foreigners and locals alike. 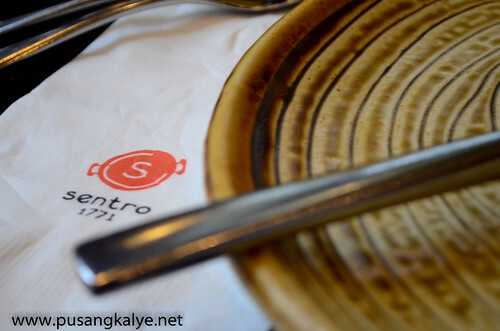 If you have friends who need a food introduction of Filipino cuisine, take them to Sentro 1771 and you will not go without praise. 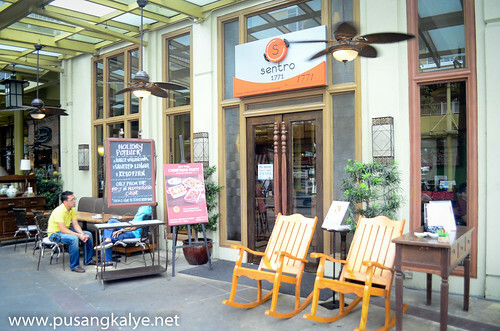 Sentro Serendra BGC is just across the street from Fully Booked Bonifacio High Street. The weather at that time was rather fine and despite the Christmas rush, I felt relaxed and comfortable being around several blogger friends. Eager to try the new set of dishes Sentro has come up with. 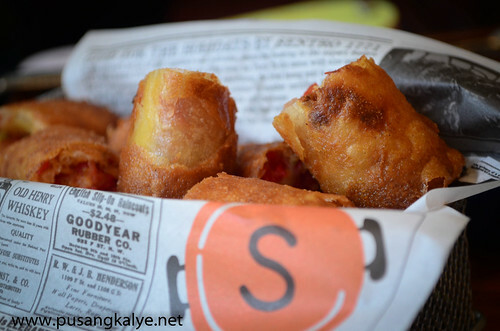 "Mini spring rolls filled with Macau chorizo, shallots and keso de bola." Bite size, crunchy and flavorful. A good way to set the tone for a full-course meal. 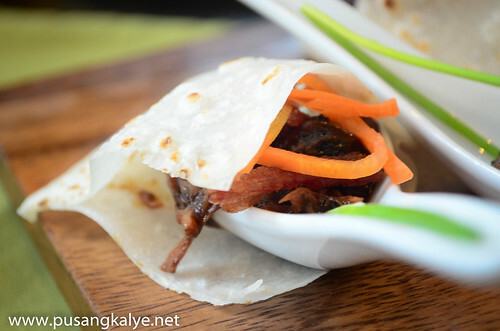 "Peking pancakes filled with strips of native duck slow-cooked in beer, rum vinegar, soy sauce and muscovado sugar." I give this an "A" for presentation and "A+" for flavor. I am no fan of duck meat but I could make this an exemption. 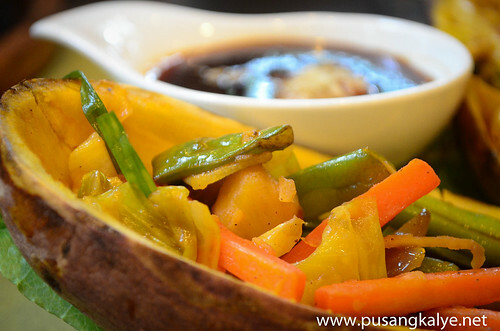 "Carved sweet potato filled with cabbage, Baguio beans, pork, shrimp and carrots." Beautiful presentation. An appetizer or a light dish? Could be both. 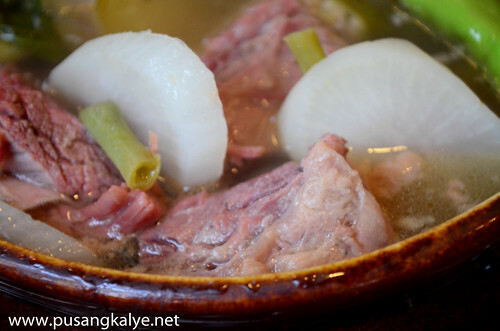 "Corned beef short ribs and boneless shanks in tamarind broth with native vegetables." Of course dining at Sentro 1771 will not be complete without the classics. Sinigang na Corned Beef was in the list. I have tried this at Sentro Greenbelt and I think it's genius. While they make sure you get your preferred intensity of sour flavor by giving you a sample of the broth before the dish is served, this one rather fell short of the high expectations set by my first experience of the dish. The broth was perfect except that the meat was not as tender as I wished it to be. Consistency is key. 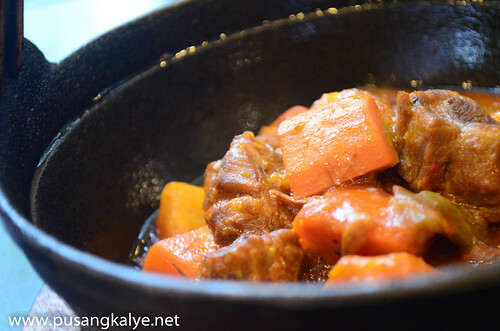 "Boneless lamb shoulder stewed with carrots, bell peppers, tomato sauce and spices. Can be mild or spicy." It would have been best if it were more spicy. 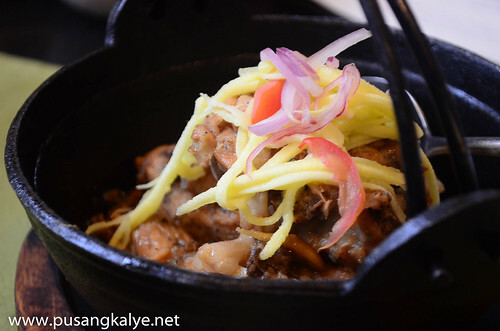 I was looking for that "hot" kick but this dish proves to be another "hot pick" in Sentro's new dishes. Fish nicely cooked and flavorful. One of my favorites in this set. "Still retains the vinegar-garlic-peppercorn balance but thickened with coconut milk." I still want my adobo with soy sauce. I am such an old fashioned guy. But this one is indeed a welcome twist to the usual. Meat well tenderized. Milky flavor because of "gata". A little more intensity in flavor would be nice though. Another dish to watch out for. 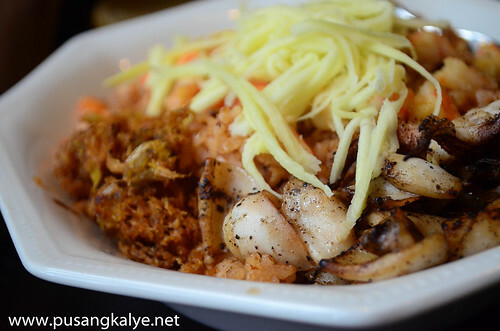 "Topped with grilled squid, garlic shrimps and hito flakes. Add 45php for brown rice or red rice." Flavor was just right. Bagoong not overpowering. Good for up to 4 pax. Seafood condiments add extra flavor. A full meal on its own. 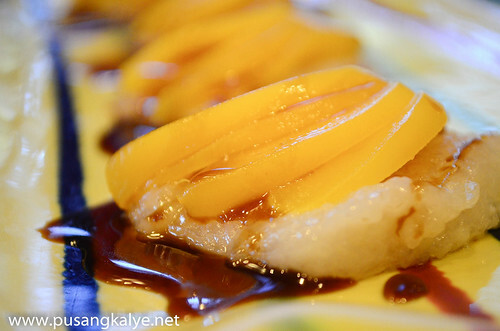 "Rolled out suman fried to a light crisp and topped with ripe mangors served with sweet coco jam."" Sentro has another ace---desserts. I was so eager to sample their friend suman again. This time, the mango that goes with it was perfectly ripe and sweet and the coco jam was an added twist to this well love Pinoy rice cake. 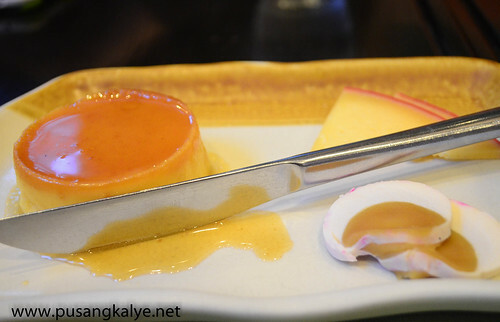 "Baked but light, no crust cheesecake served with queso de bola and red egg. Parang bibingka na hindi." 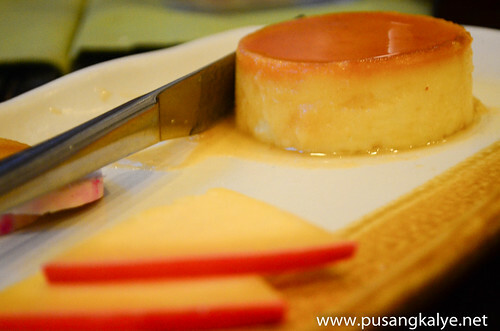 Keso Flan may taste like ordinary cheesecake when eaten without the queso de bola slices and red egg, but combined, it becomes extra special indeed. 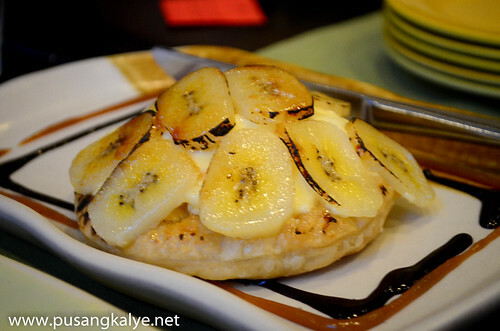 "Puff pastry with light custard topped with caramelized saba banana slices." I can eat a dozen of these. The light custard is the right sweetness I can go on eating without feeling overly stuffed. My favorite! 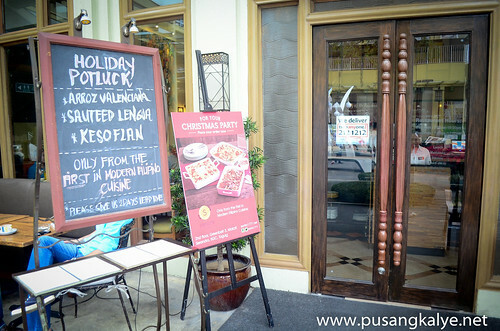 Christmas, New Year and the days in between, if you are looking for a place to dine, Sentro 1771 offers Holiday Potluck. On the menu, Arroz Valenciana, sauteed lengua, keso flan. Just make sure you make reservations two (2) days before dropping by. Guys! This place is an awesome place to be. Dine in there!